This rodent is covered in multiple layers of quills, the longest of which grow from its shoulders to about a third of the animal’s length. Its tail is covered in short, hollow quills that can rattle when threatened. It has broad feet and long claws for digging. 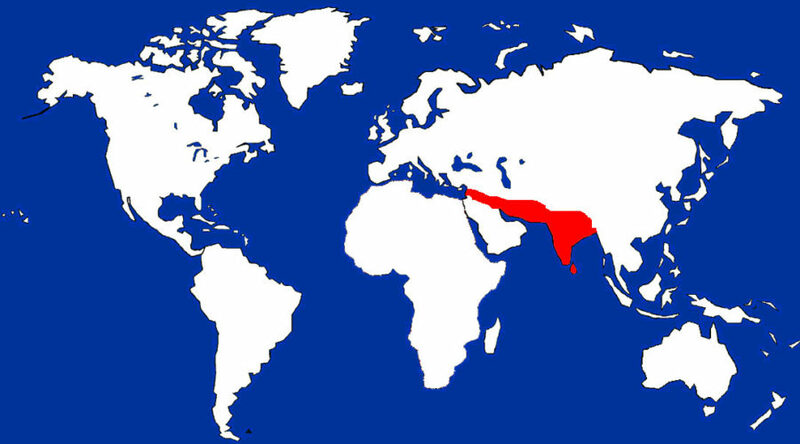 About the Animal: The Indian Crested Porcupine is one of the largest porcupines in the world, with quills that may reach up to 16 inches in length. They belong to the ‘Old World’ porcupine family – they tend to burrow, rather than climb trees like the porcupines found in North and South America (the ‘New World’). They have incredibly strong front legs, and are able to excavate substantial burrows. Like all rodents, porcupines have substantial incisors that grow constantly, meaning they must chew a great deal to wear down their teeth. 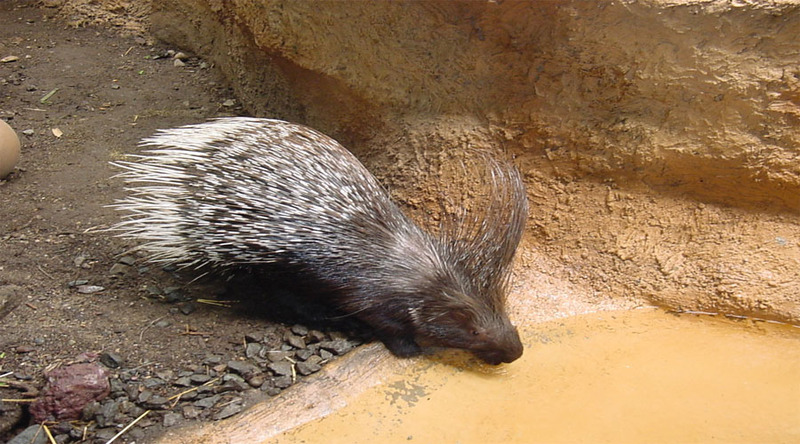 Capron Park Zoo’s porcupine is known to chew bark, trees, chain link fence and even cement! The quills on this porcupine’s back are long and formidable, but some are not actually used as weapons. The long, thin spines are actually called ‘rattle quills’. When the animal gets angry or annoyed, it ‘rattles’ these quills as a warning before attacking. The thinker, shorter quills are the ones with the tiny backwards facing hooks that are capable of penetrating the skin and muscle of an attacker. These porcupines are nocturnal and are therefore poorly studied in the wild. However, at this time, there seems to be a strong healthy wild population of this animal, and there are no conservation concerns. Mating and Reproduction: Females give birth in February or March in a grass-lined nest. Most females have only one litter per breeding season. Adults form monogamous pairs and both care for the young during the three-and-a-half–month nursing period. Up to fifteen members of a family group will share one burrow. Amazing Information: Many conservationists have documented cases of tigers and leopards becoming man-eaters after encountering and being injured by porcupines. One example was the leopard of Gummalaper, which when examined, was shown to have two porcupine quills lodged in its right front paw.